Are you a digital marketer that needs assistance with a particular keyword report for a client? 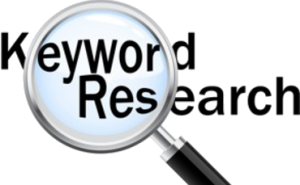 Why is Keyword Research and Analysis the Most Important Part of SEO? Answer… your personalized report is your very own crystal ball; a way of gaining insider knowledge about your audience and your brand’s marketing campaigns. Your rankings are just the icing on the top! Anything higher than a #1 ranking means less traffic. Numbers 11 and up means 2nd page on Google or Next Page > Don’t be a nexter! 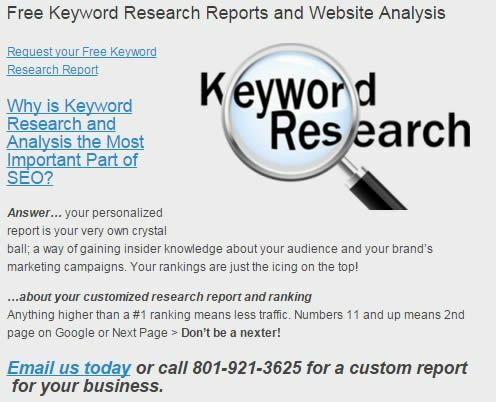 Email us today or call 801-921-3625 for a custom report for your business.